The Atlanta movers at Bulldog Movers are here to help you with all aspects of your move, and we strive to provide nothing less than the absolute best relocation services to residents throughout the Metro area. When it comes to personal electronics, we understand that they can’t just be tossed into a moving truck and expected to survive the voyage unscathed. This is just one reason why we take great measures to ensure that TVS, computers, speakers, and more are well protected. And, we transport electronics, as well as all other items, in trucks equipped with air breaks and air-ride suspensions, which helps provide an exceptionally smooth ride, further helping to protect you delicate, expensive electronic equipment. If you are moving from one office from another and need to have your computing equipment moved, Bulldog can handle the work for you. We have a team of professionals trained in the ways of properly breaking down, safely transporting, and setting up IT equipment. We’ll also be glad to move and office furniture you’ll be taking with you to the new office. 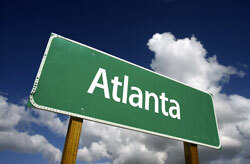 So, for home moving, office relocation, and more, trust your electronics to our Atlanta movers. Call or email our Atlanta movers today to find out more about all of the services that we offer and how we can move your personal electronics with ease, please call or email us today.